As the game has since been patched and I have been able to progress, I now feel as though providing a score is feasible. Read on for my initial thoughts and scroll down to the bottom to see how it rated. 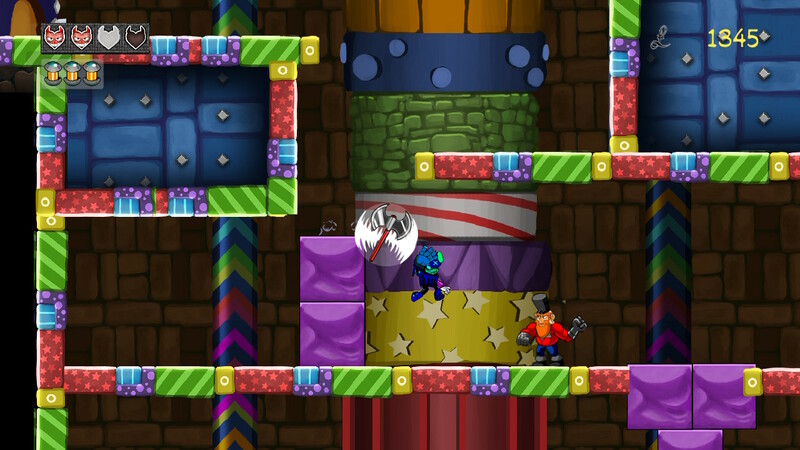 From left to right, occasionally up and down, the humble platformer is a tried and tested formula. To make people stand up and take notice you have to do things just a little bit different, offer a unique hook. Shovel Knight did this brilliantly by paying a tremendous amount of homage to its 8 bit roots, whilst simultaneously being its own beast. Celeste brought a hard as nails platformer with controls tighter than a ducks, well, you get the picture. There are countless examples of 2D platformers offering more that just navigate from A to B, collect coins, jump on enemies. So what does Nefarious bring to the table? Only the single greatest thing to happen to video games since SEGA stopped making hardware and focused on simply making games! You see, in Nefarious, you are the bad guy. That’s right, as gamers we finally get to play as the evil villain, causing havoc and destruction in our very wake. This delightful little romp starts in atypical fashion, with our a̶n̶t̶a̶g̶o̶n̶i̶s̶t̶ ̶p̶r̶o̶t̶a̶g̶o̶n̶i̶s̶t̶ lead character, Crow attempting to kidnap the princess. It’s a situation that we’ve all faced countless times before, the only difference is that usually we are trying to rescue said princess. This time however, the tables have turned and we have the princess in our grubby little mitts. Instead of saving her, we have to escape with her. Without going into spoiler territory, things don’t go as you might have expected them to and our new friend Crow finds himself in need of royal blood, and lots of it. The pacing of this troubled tale is absolutely on the money. 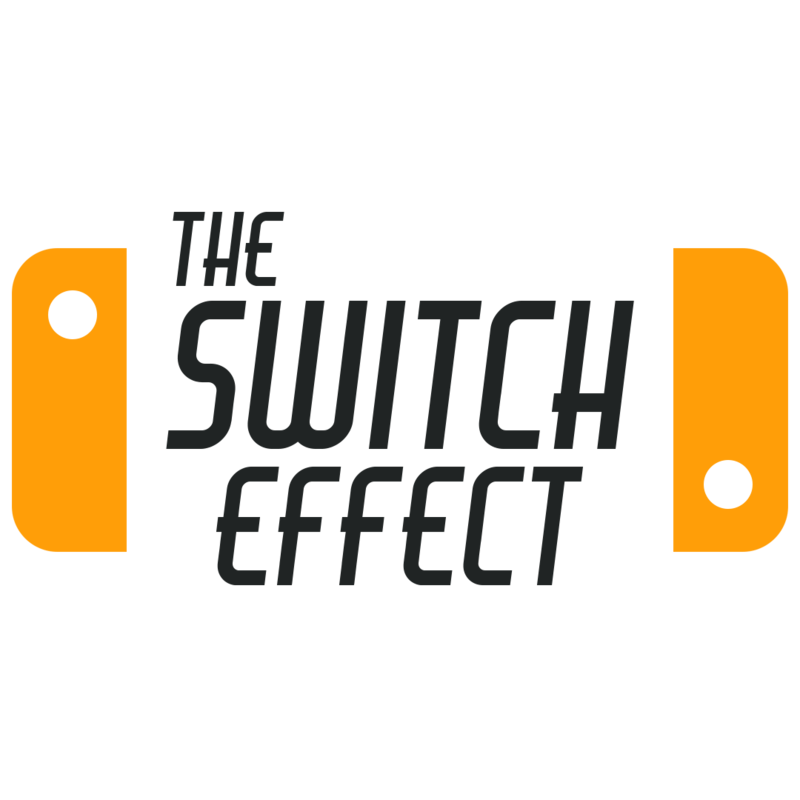 The story flows at a great speed and the levels are perfectly designed to compliment this. The game hits a stunning crescendo, culminating in one of the toughest (reverse) boss fights I have experienced in quite some time. The fact i’m truly terrible, despite my love for shmups, probably didn’t help matters. 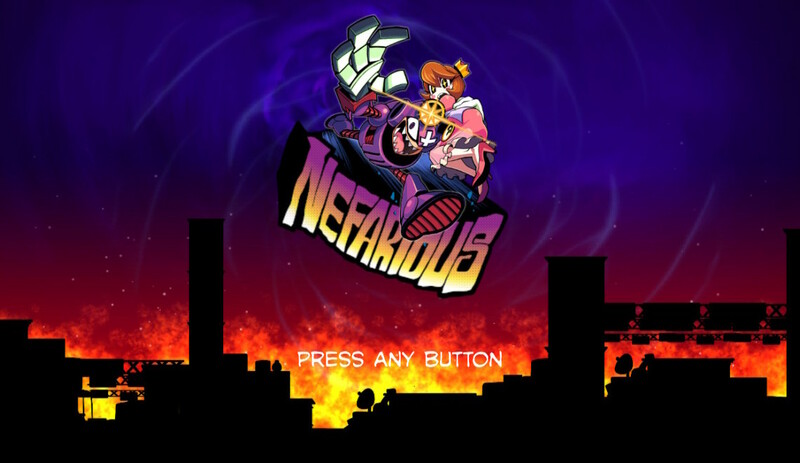 Nefarious is gorgeously presented, offering a throwback to all the titles that clearly inspired it. 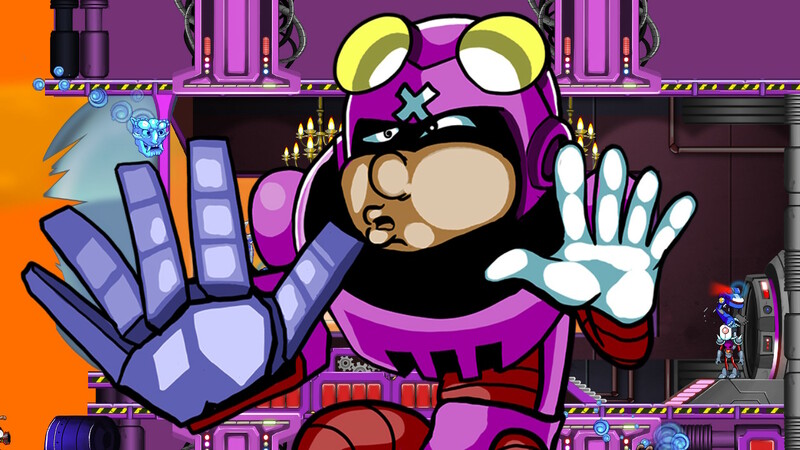 The artistic direction is clearly drawn from games such as Mega Man but has enough about it to stand on its own to feet. 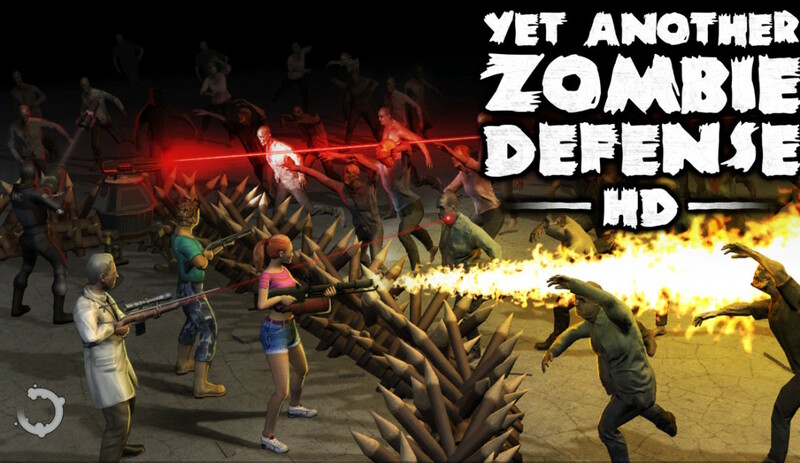 The initial load time was really quite long but once fully immersed in the game, everything ran smoothly, offering fantastic voice acting, and a mostly solid frame rate throughout. The audio was also really very good, and had me humming along, really quite poorly, to the tunes as I played. The inclusion of a performance patch and a delay on the release date at least shows that the publisher care enough to fix the issues, rather than sending out a broken game. 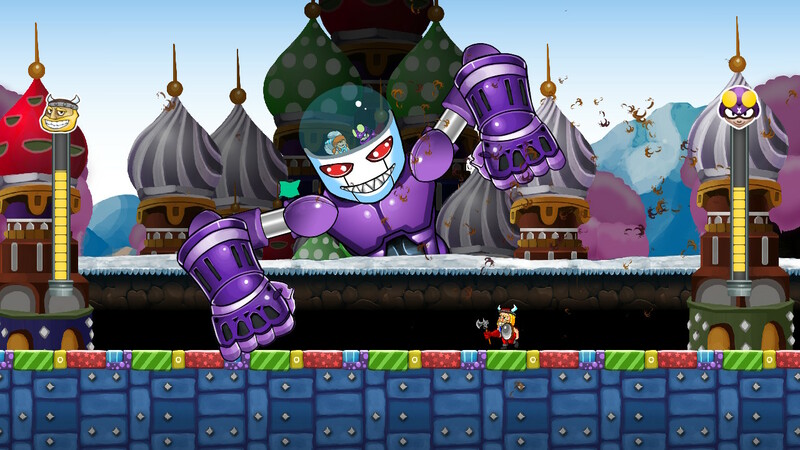 The jewel in the crown regarding Nefarious is the exquisite variety and quality of the gameplay. 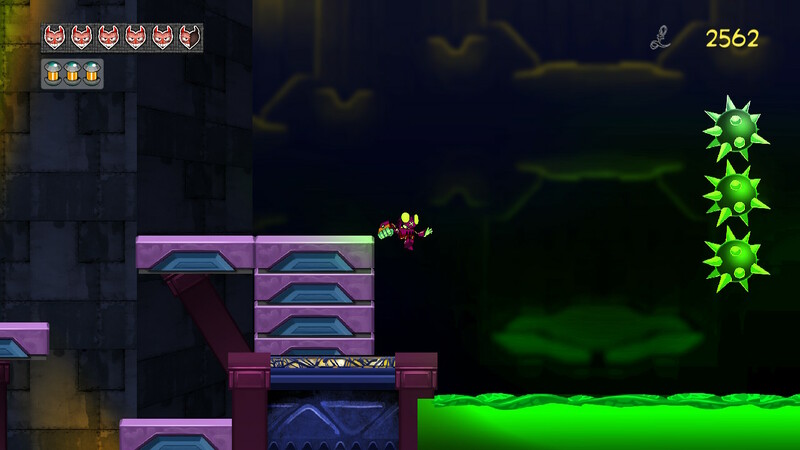 For the most part, it is a side scrolling platformer. However, there are also so many other other play styles thrown in here. All of which make sure they offer just enough of a change of scenery, before reverting back to type. 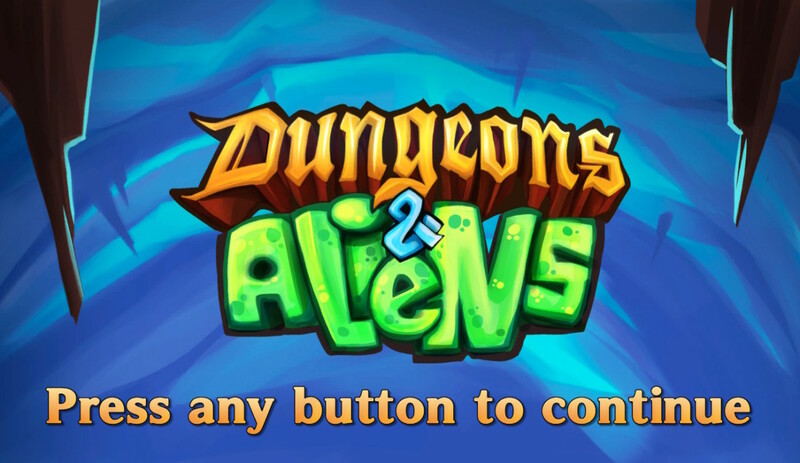 This is actually a fantastic way to handle the mutil-genre, as gameplay never slows or becomes frustrating. Up until the point where the game crashed I played a number of different styles of games. 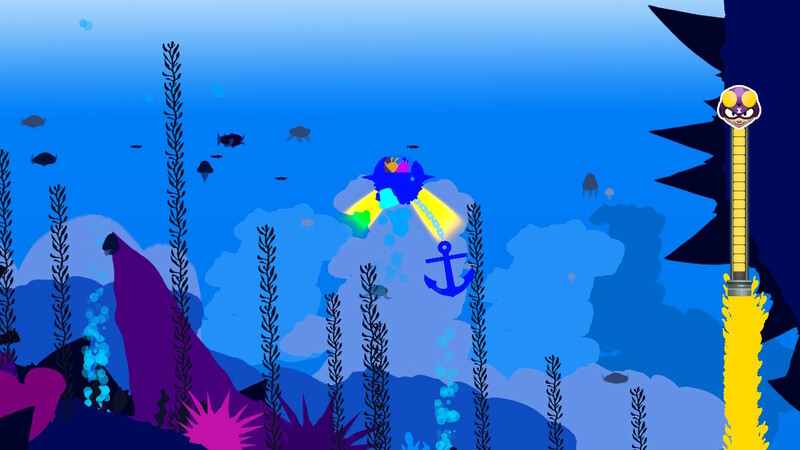 I played a platformer, an RPG, an underwater submarine mission and a dating sim. 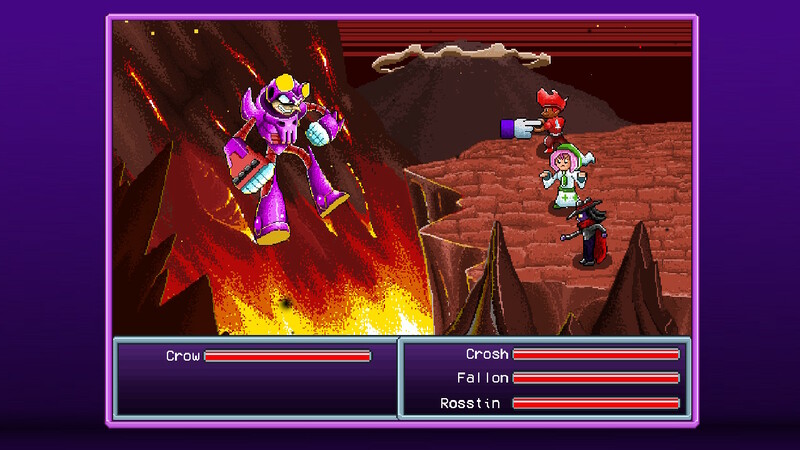 The absolute pinnacle though, is the reverse boss fights. 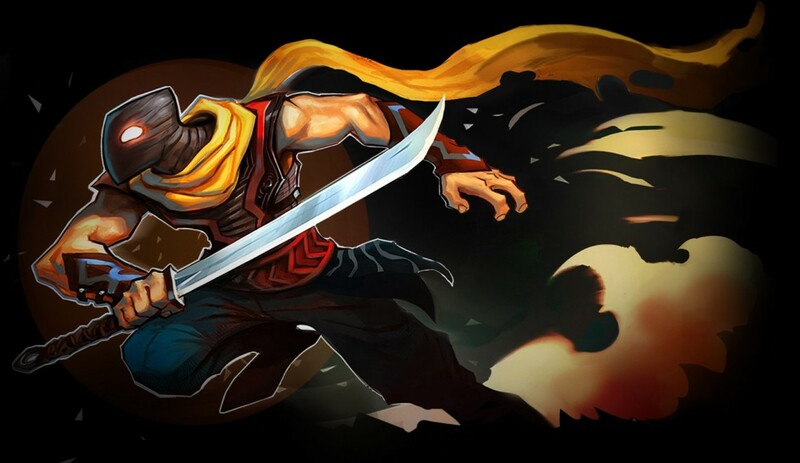 These are sublime, truly and utterly some of the best moments I have had playing video games. 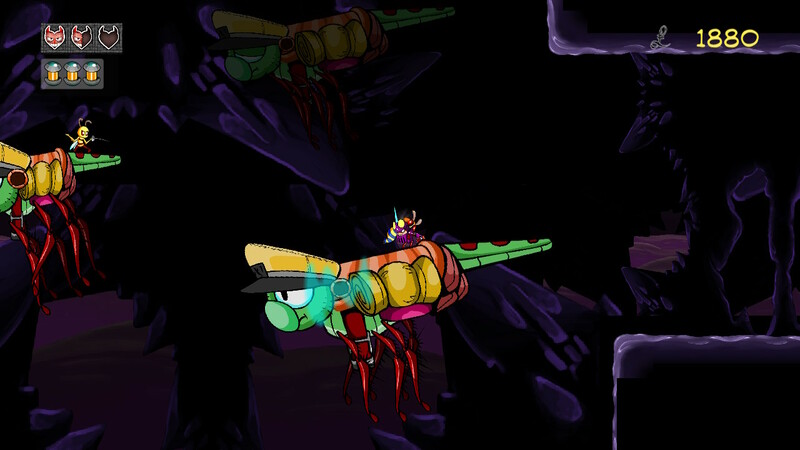 After years of playing countless platformers, and experiencing so many different styles of boss as the protagonist, it’s just so cool being the antagonist. They control exactly how you would imagine they would too. 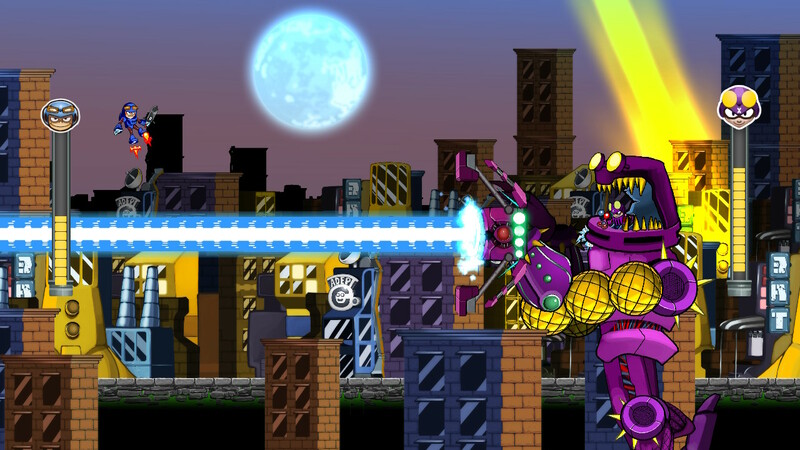 You take control of massive mechs, or war machines and go to town on a little do goooder running around below you. Much like in the games of my misspent youth too, somehow the heroes attacks are far more powerful than my oversized dooms day machine. I actually found this really cool as in a specific fight, against an over cocky Viking, I literally pummelled him 10+ times before emerging victorious, where as, 5 hits from him throwing a hammer at my head would render me obsolete. 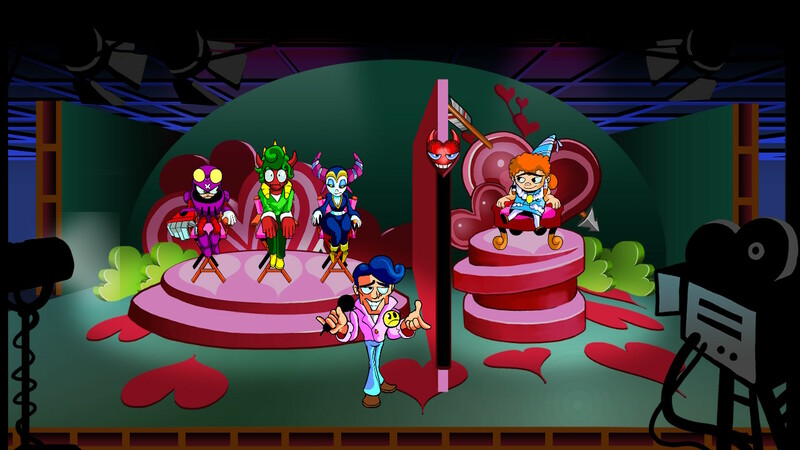 From my time with Nefarious so far I can say that it’s a really fun concept that is very well presented for the most part. The music is banging throughout and reverse boss fights are a stroke of genius. It begs the question though, why hasn’t anybody done this before? Loads of variety. Cracking soundtrack. Reverse boss fights might just be the greatest thing ever. Suffers some pretty horrific frame rate issues during busier moments.